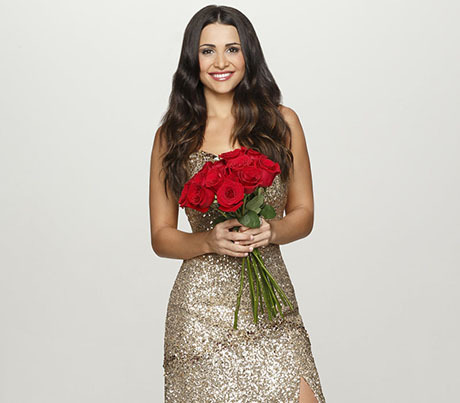 You would think after suffering through time with Juan Pablo Galavis that Andi Dorfman might have kept walking when ABC tried to persuade her to do The Bachelorette. Guess not. Instead of turning them down, as we know, she decided to sign the dotted line for another opportunity to locate her future husband. Unfortunately, selecting 25 great guys for Andi was never ABC’s game plan. Not exactly. According to the June 2nd print edition of Life & Style Magazine, ABC chose a few really great guys — but in order to find them, Andi’s going to have to wade through a bunch of men who are just there for a few quick minutes of fame. In fact, Andi’s season hadn’t even ended and already some of her potential suitors were already signing up to do Bachelor In Paradise, a dating show set to air later this summer! There are several guys that have “player” written all over them, such as Nick Viall who ran some pretty standard lines on Andi and she totally ate it up. Girlfriend claims that she’ll be smarter this time around and that she won’t be scammed by a guy like Juan Pablo but her early radar seems to be way off the mark. Is Andi setting herself up for heartbreak? Should ABC have given her a better group of guys to choose from or is it right that Andi will have to wade through the garbage to find a real prince? Tell us your thoughts in the comments below!